Jam on headphones or get a quick stereo output to the PA mixer or your DAW with the 1/4" TRS jack. Mono patch? No problem, the left input is normalled to the right. This is a simple 1U module designed to allow the monitoring of a system using headphones. However, if your cat isn’t easily scared, the headphone jack doubles as a TRS stereo line level output. 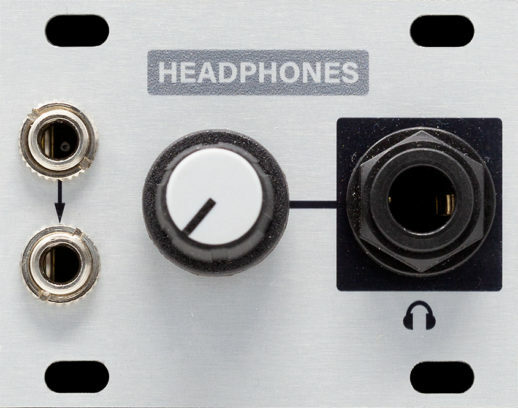 Simply connect the signal that you want to monitor to the 1/8″ jacks, plug in your headphones, and adjust the volume as desired.